In recent weeks Torino’s Andrea Belotti has been heavily linked to a move to Old Trafford this summer by several media sources. 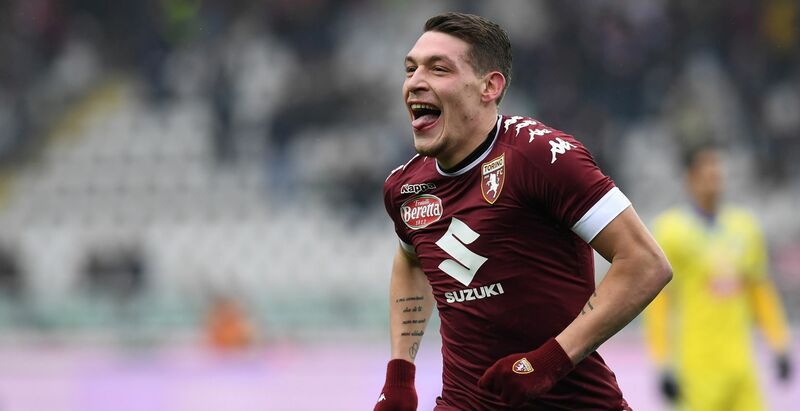 In light of this reported interest in the player, we sat down with Serie A expert Jacopo Piotto to get some insight on Belotti and discussed the prospects of a summer move. 1. Hi Jacopo! Could you please introduce yourself to our readers? Hi everyone. I am currently the Serie A previews writer for Whoscored.com, and I have been a writer and football analyst for different media such as SKY Italia or Ultimo Uomo. 2. Andrea Belotti is a name that is making the rounds in Europe this season. Could you give us the essentials about the player? Andrea Belotti is an Italian striker born in December of 1993, so he will turn 24 during the next season. This is his second season with Torino, in which he has scored so far 27 goals out of 35 games. He moved to the Granata club from Palermo, where he played together with Paulo Dybala (now at Juve) and Franco Vazquez (now at Sevilla). At Palermo he only scored 16 goals in 64 games, mostly due to his young age and having to share the spotlight with Dybala. It is worth remembering that, while he only had 8 full games, he played in every single match of the 14/15 season. 3. How would you describe Belotti’s style of play? Does he remind you of any strikers, past or present, in one of Europe’s top five leagues? First of all, he is a great finisher. In March he already had scored 21 goals despite shooting for an aggregate of just 12 Expected Goals. Gennaro Gattuso, who coached him briefly at Palermo, said that in training he would always hit the goal and he reminded him of Andryi Shevchenko. He is very strong and extremely intense in his efforts. This granted him a call-up with Antonio Conte’s Italy at EURO 2016 despite his numbers at the time not being as good as they are today. He would be the perfect pick if you need a forward that helps the team in all phases and does not lack composure when it’s time to finish. No surprise Conte and José Mourinho are interested in him. 4. How would you assess Belotti’s performances this season? Belotti’s has scored 25 goals out of Torino’s total of 66. That makes for the best contribution of the league (38%, tied with Icardi that has 24 out of 63). Torino are just the 9th in the league, currently 5 points behind Fiorentina and have always been distant from the top of the league during the campaign. He is not necessarily the only star of the team, which has an interesting attacking line for a mid-table side, but the feeling is he could have scored even more in a team that could provide him with more opportunities. He is fighting for the best scorer title against Dzeko, Immobile, Mertens, Higuain, all who played in teams that scored more and will finish better. After seeing his potential in previous seasons, this one is his revelation to the world. 5. Many players shine abroad but struggle with the rigours of the Premier League after moving to England. Do you foresee Belotti having any issues accustoming to the English game if he were to transfer to an English side? What is usually said of the Premier League is that it has higher tempo. I believe Belotti is a striker that can play at full speed the whole 90 minutes. The intensity he puts in every run would also make him a quick favourite of the fans in any English team. And the “training” against Italian defenders will be a tactical advantage in the Premier League. 6. The press have linked Belotti to a move away from Torino, with United being one of the rumoured destinations. What type of fee would United need to pay in order to land the youngster? I am not really good with estimates, but he has a clause for foreign teams of 100 million euros. Club owner Urbano Cairo has already said he would not like to sell him in Italy. I think such a value might be more than his actual price tag. The player is most likely going to move during this summer, and Cairo himself knows he will not be able to keep him at Torino since the quality of the player is not matched by club’s ambitions. So that could bring the price down a little bit. At the same time, when big players like United get involved, smaller clubs know they can ask for a little more than they would with others. I believe all offers above 70m will surely be accepted from abroad, and nobody in Italy can afford to pay so much unless Inter or Milan’s new owners start pulling money out of hats. We would like to thank Jacopo for his time and insight on Andrea Belotti. You can keep up with Jacopo and his work at whoscored.com and follow him on twitter here. You can also follow Ravi (Q&A conductor) on Twitter here.